Call-Back audition for final singers selections to be held in New York City. The USTA announced on Tuesday that for the fifth consecutive year, it has launched a nationwide online audition as part of its 13th annual US Open anthem audition, open to all kids 14 years of age or younger. 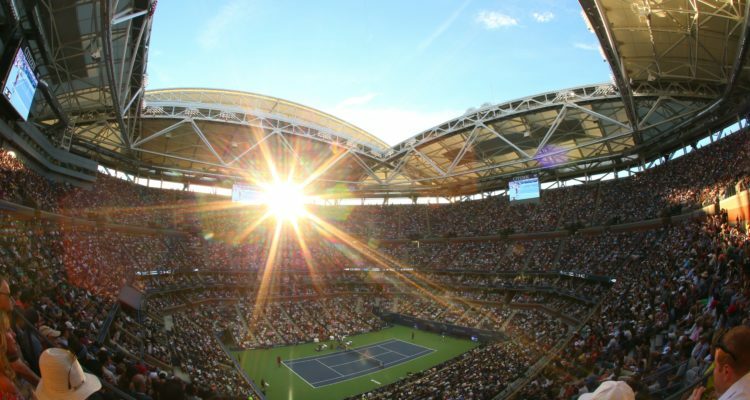 A select number of submissions will be chosen to participate in a callback that will be held in New York City in early July, with those selected earning the chance to perform “America the Beautiful” live in Arthur Ashe Stadium during the 2019 US Open. To submit an audition, children 14 years of age or younger must upload a recorded version of themselves via a YouTube link, performing all or a portion of “America the Beautiful” a cappella to www.usopen.org/anthemauditions by May 10, 5pm ET. All entries will be reviewed by a panel of judges from the music and entertainment industry. A select number of contestants from the online submissions will be invited to participate in an in-person callback audition in New York. There, participants will be asked to perform all or a portion of “America the Beautiful” a cappella individually in front of judges. Winners selected from the callback audition will perform “America the Beautiful” live during the night sessions at the 2019 US Open, which will be held Aug. 26 to Sept. 8. The USTA will make its final singer selections in late July. Those selected will receive a US Open gift bag and tickets to their performance session. For more information on the online audition, including the official rules, go to www.usopen.org/anthemauditions. The 2019 US Open begins on Monday, August 26 and runs through Sunday, September 8. A full schedule of US Open events and activations will be released this summer. This entry was posted in Grand Slam, US-Open and tagged US Open, USTA.